Prolux High Torque 12V Starter for Airplane, 90 size heli and 1/8 Monster Truck. 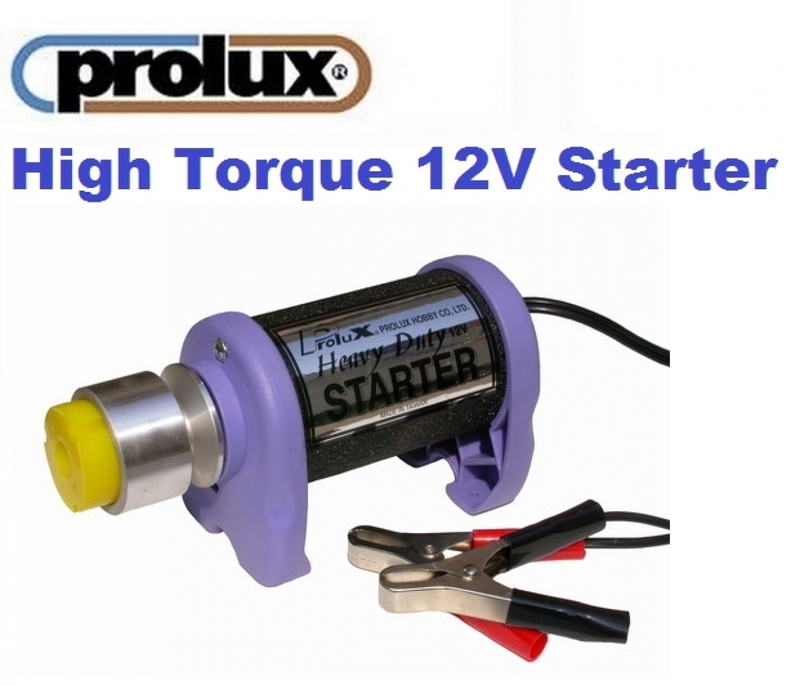 Prolux High Powered 12V Starter. High Torque for easy starting of engines up to 1.8 cu.in.